There was a great turnout for the first strollers meeting of 2019. Two year olds mixed with “slightly” more elderly walkers as all sought to walk off the Christmas excesses. Christmas bobble hat gifts were in abundance, but all agreed that Pam’s bobble outdid the rest! The walk circumnavigated the entire park and was the longest the group had attempted. But with plenty of opportunities to admire the scenery, rest and chat, the walkers easily completed the challenge. 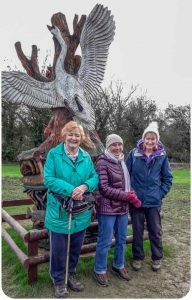 So….the living with cancer strollers group can’t promise you an everlasting youthful appearance, or a 1000 mile count on your step watch, but it can offer a friendly walk with a sociable group in a wonderful lakeside location. 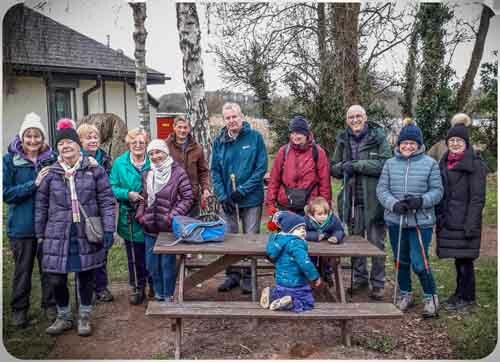 Make it your 2019 resolution to join us for a stroll, on the first Thursday of the month at 10:30, at Cosmeston Information Centre.